A lot of people are searching for online portals to check and verify vehicles registered in Azad Kashmir (AJK), Balochistan and Gilgit Baltistan. 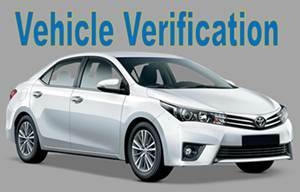 Since Punjab, Sindh and KPK have already launched online vehicle verification service for the cars, bikes, vans, buses, trucks, rickshaws and all type of vehicles. So people, who own or want to buy a vehicle, are curious to verify vehicles of other provinces and states too. Online vehicle verification portals of AJK, GB and Balochistan are not still available. We are keen to provide all the available information to our visitors so as soon as any of these portals launched we will share this valuable info with our visitors. Till that time you have to physically visit relevant Excise and Taxation Office to verify vehicles' data. how can i check my second hand motor bike of balochistan? how can i check my motor bike registration which i buy from Balochistan?